Australia is home to over 3000 species of Ants. White Ants are often confused with termites because of their similar social systems. White Ants are commonly classified as pests and are dangerous to Perth's residential homes and Commercial Properties. White Ants invade your home in search of food, through tiny cracks in walls and doors. Ants leave behind a long-lasting scent that other ants then recognise which is why you will often find a large amount of ants in the one area. Ants are very common in Summer as they are out in full force trying to find food to store for the colder months. As you would have seen, Ants remove soil from concrete and brick paving’s to build their nests, eventually causing subsiding and cracking. Although Ants generally live outside in soil, timber and under pavers, they will travel long distances in search of food. To avoid an Ant infestation, you can reduce the availability of food and water. You can do this by storing food above the ground and away from walls and not leaving pet food out. Also, make sure garbage bins are taken out each night. 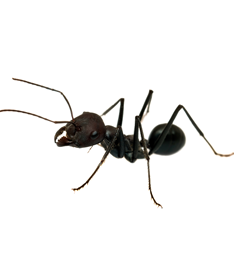 Contact our team today on 08 9209 2030 - Your trusted Ant Removal Company with over 46 years experience.